As a Pennsylvania Workers’ Compensation and Social Security Disability attorney, Adam handles all aspects of litigation, settlements, and appeals for his clients throughout Central Pennsylvania. Adam is passionate about his areas of practice and in helping injured and disabled clients, as he has family members who have gone through both the workers’ compensation and social security disability processes. Adam has been with the firm since 2009 and was award the Pennsylvania Supreme Court’s distinction as a Certified Specialist in Workers’ Compensation. Adam N. Crosier, graduated from Penn State Dickinson School of Law in 2005. In law school, Adam worked for the Berks County Public Defenders' Office, where he was noted as a Miller Center Public Interest Advocate. Adam also worked as a law clerk to the Hon. Kim R. Gibson of the Western District of Pennsylvania, a Vietnam veteran. Adam drafted Social Security Disability opinions while working for Judge Gibson. Following law school, Adam worked with the Pennsylvania Workers' Compensation Appeals Board, where he drafted unbiased opinions for the Workers’ Compensation Commissioners on all areas of complex workers’ compensation law under appeal. 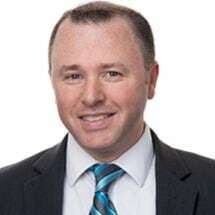 Adam also worked as an attorney with a general civil practice law firm, where he practiced Chapter 7 and 13 bankruptcy law, unemployment law, handled contract disputes, landlord/tenant disputes, and aided in LLC and other business formations. Prior to law school, Adam graduated from Pennsylvania State University with dual degrees in history and anthropology and has had the unique experiences of working at state historical sites through the Pennsylvania Historical and Museum Commission; working with the Reading Eagle newspaper; and hiking the length of the Appalachian Trail. Adam was born in Philadelphia and grew up in Berks County. Outside of work, Adam enjoys spending his time with his wife and three children where they have resided in Lebanon County since 2011.